This years Celebration Dinner was a great success hosted at the wonderful Italian restaurant in Northampton, Papa Cino’s. 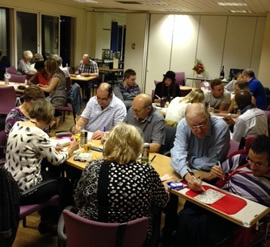 The night was supported by many of new and regular supporters of the charity who helped to raise a total of £722 for the charity whilst enjoying an evening of great food and entertainment. We would like to thank everyone who was involved in supporting the event from the team at Papa Cino’s, all of our guests, @JoeMilesMusic (singer/songwriter), Wayne Martin (comedian), Chloe Green (photographer) and lastly all of the businesses who kindly donated a number of prizes towards our raffle. 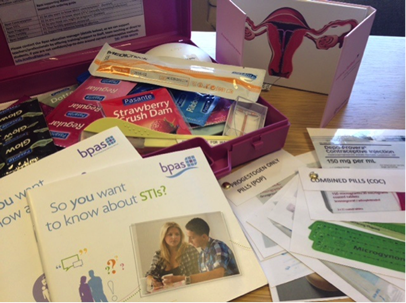 It is very important to ensure young people are being informed about sexual health throughout the county and since CYPN’s Sexual Health training sessions we now secured a contraception display box which displays all types of contraception available to young people. This resource is now available to all affiliated clubs on loan in order to deliver sexual health sessions within your club. Contact CYPN offices on 01604 624611 to loan the contraception display box today. Young people from Youth Inspired projects this month have been busy building shoes boxes to send to young people overseas for Christmas. 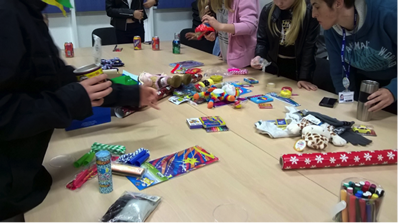 Members have sourced small gifts from local charity shops, and well know discount stores to make up a box for a young person overseas, these boxes have include toiletries, stationary, pens, pencils, a significant toy and small fun items along with a tube of sweets. Each box also included a note from the young people giving some details of the youth club and themselves. This year’s event has been a huge success and we would like to thank everyone involved, with your help we raised a total of £430.13 for the charity. Thank you to each individual that helped us along the way and kindly made a donation to support our event. It was a great evening enjoyed by everyone who attended and many thanks to Mark for the lovely selection of BBQ food for all the guests to enjoy on the night. Raffle prizes kindly donated by: County Florist, Beckworth Emporium, Wicksteed Park, Fong Spa, West Lodge Rural Centre, Nanna’s Kitchen, Northampton Saints, 78 Derngate and Daily Bread Co-operative congratulations to all of our lucky winners. Our Trainee Fundraiser for Clubs for Young People Northamptonshire, Charnelle was awarded for her outstanding achievement within the community category at this years YBA Awards 2014 hosted by Zimwomen Association. The evening was a great success with many people and organisations coming together to celebrate the achievements of young people across Northamptonshire. Congratulations to all of the winners, runner ups and also everyone who sponsored the event along with The University of Northampton. 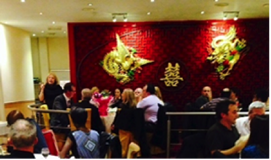 This year’s charity dinner hosted at the Oriental Garden Restaurant was again well supported and helped us to raise a staggering total of £600 for the charity. Everyone who attended had an amazing evening along with good company and great food, plus there were several raffle prize winners. Donations where kindly made from; The Castle, Graduate Hair Salon, Q Hotels, Elsie’s Pottery Painting Barn, Carols Flowers and Balloons, Fong Day Spa and lastly the Incredible Bakery Company who all supported our Celebration Charity Dinner by making a gift donation. Thank you to all of our supporters and everyone who attended the event we look forward to seeing you next time. Members of Grange Park Youth Club have completed the writing and recording of a song ‘Over Coming Bulling’ they have been working with a charity called Notivate who have supported them with this. They spent an enjoyable day at the Stables theatre recording their song and making a short film to go with it. The song has a powerful message in overcoming being bullied. 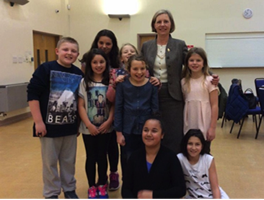 Recently Anne Burnett, High Sheriff of Northamptonshire visited the group to learn how they were inspired to write the song and how they will use the film to inform other young people that they do not have to put up with a bully. All of the members of the group are working on a bronze arts award to enable them to be credited for the skills learnt and their hard work and commitment to this project. 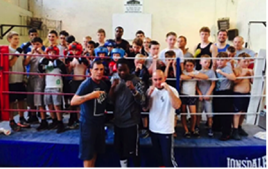 Boxers at far cotton ABC are going from strength to strength. Recently Far Cotton ABC had taken part in the Junior Novice Championships where they had their first national champion, Arran Fail. Within 3 weeks of the competition his elder brother Carl Fail has also won all three contests. In January 2015 their female boxer Laura will be boxing in Sweden and they also have 7 other boxers entering the ABA championships in January. Following on from all the success of Far Cotton ABC in 2014 we hope there is more great news to follow, good luck to everyone competing throughout 2015. A GALA dinner raised more than £6,000 for the Northampton Hope Centre this weekend. THE Herald & Post team will be rafting down the River Nene to raise money for Comic Relief. THERE are much worse ways to spend a decade than spreading joy throughout a community and offering vital funds to the charitable projects which most need them. 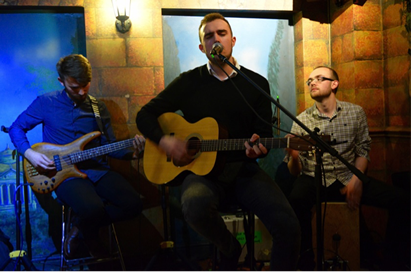 Join us for a fun packed evening of great food and live music from 'Joe Miles' plus more. Tickets cost £25.00 per person and will include your entry to the restaurant plus a 3 course meal.